Nowadays, many are asking whether analog summing is better than digital summing. But perhaps the real question is whether digital summing better than analog summing? We at SPL don‘t know of anyone who says so. We do know that summing with the MixDream creates an amazing signal depth, precise localization and a wonderful stereo imaging. Moreover, the addition of individual instruments results in soft and pleasant transitions. These are analog summing differences that we hear—and that you can expect. However, in contrast to simple summing devices the MixDream‘s insert and processing capabilities clearly spotlight a factor that is most important in a quality mix: while quality summing is the basis of a good mix, quality processing in the mixing process has the biggest influence on sound. When engineers discuss the qualities of highly-acclaimed analog consoles, it is very often the superior analog processing potential of such consoles that is an integral part of such “shop talk”. The MixDream now allows DAW users to exploit this potential with maximum comfort and uncompromising quality, ensuring that nothing can stand in the way of the engineer‘s having the best of both analog and digital worlds. This, of course, is the most basic way in which you can benefit from an analog summing device. In the process each individual DAW track is transferred through D/A converters for summing in the MixDream. It goes without saying that only identical high quality converters can be recommended. With mono signals one should use inputs 1-6, as these channels may be switched to mono mode. In the DAW such signals must be panned hard left or right if you want to confine them to a single D/A converter (thereby avoiding the waste of having to use a D/A pair for one mono track). Because a production often consists of more than 16 tracks, mono tracks like vocals, drums, synths, guitars etc. may be routed through a common D/A output. By switching out the analog inserts, channels can be used as though they had not left the DAW (except for summing). Such a capability means that—and particularly in track arranging—you can recall any of your automated DAW settings. All Inserts may be switched on or off globally. Connection of Sampler, Keyboards etc. Along with DAW audio tracks and effects machines or processors in the insert loops, samplers, keyboards and expanders may also be connected directly to the MixDream. Then the Midi tracks need only be added in the DAW project, the outputs (for example, from a keyboard) are then routed directly to the MixDream. Using these individual channel inserts effectively means that you are realizing the MixDream’s full potential. As the name implies, you can employ a complete spectrum of analog processors (EQ, compression, gates, etc.) to each individual channel. But to be as simple and effective as possible, you must also coordinate this processing and MixDream assignments in the most logical way. One example we have mentioned is the use of channels 1-6 mono switching capabilities, a more specific case of which might be an SPL Transient Designer for kick drum and snare on channels 1-2, compression for bass on channel 3 and compressor/EQ on a channel 4 vocal (in the last case, you see that chained processing is possible for individual channels). You may leave such processors in a standard hookup of your choice, toggling them into the mix whenever you need them. Within the DAW you can then take advantage of software flexibility, routing each output to a specific insert in your MixDream hookup. During further mixing such processing proceeds hand in hand – with both the MixDream and DAW—so that if activating an insert EQ results in levels that are too loud, the channel volume may be lowered in the originating DAW project. You can, of course, also connect reverb and multi-effect processors to the MixDream inserts, routing desired DAW signals to corresponding outs via aux sends. At the same time, you can employ the No Mix function as mute for monitoring individual tracks as solo. In such applications your Direct Outs become very important, as a typical DAW aux send will be pre-insert (that is, the reverb portion of heavily compressed drum set signals would not be compressed.). In such case a channel’s direct out would be routed back through the A/D converter. The converter channel must be set to monitor mode in the DAW in order to use it as an aux send. Now the send levels can also be processed with the DAW’s automation features. This procedure retains both the convenience of digital control and the superior analog sound you desire. Should you suddenly need to listen to another recording or do an additional take during mixdown, the Inserts On toggle offers a quick, efficient way of temporarily defeating all external processing. In such cases, you only need to reset the mono switches. Otherwise your entire processor routing remains in the background for a quick return to previous work. 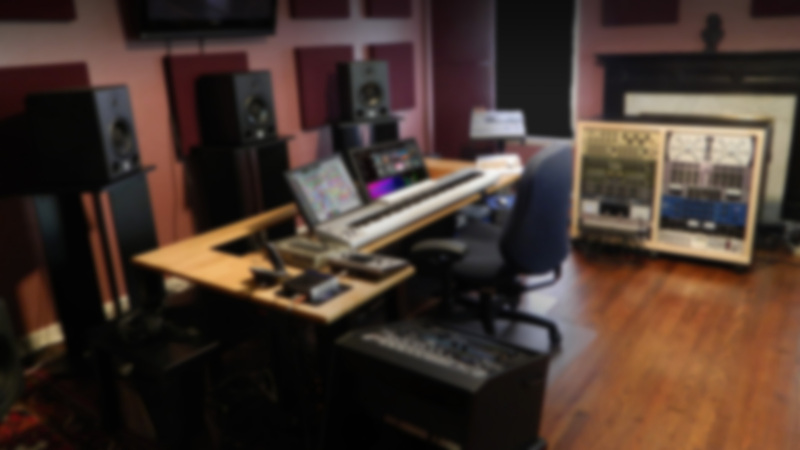 A typical production environment will often have more than the 16 channels of a single MixDream. There are several possible solutions to this: 1. Well, you could buy additional MixDreams (which we confess would make us happy—and we’re sure would not disappoint you), or: 2. Sum your grouped tracks with the MixDream itself. For example, if you’ve done a chorus backup in 16 solo tracks, you can adjust your panning in the DAW, then route this to the MixDream for an analog summing in stereo, which can in turn profit directly from the MixDream Master Inserts, Stereo Expander, and Limiter. Having a pro EQ ready for the Master Inserts means just about every possibility is covered. We strongly recommend initially processing spatial and loudness-related characteristics with the Stereo Expander and Peak Limiter in the subgroups (including tracks with such as guitar overdubs, drums/percussion, keyboards, and so on). You can apply more extreme settings with subgroups than in stereo mixes, achieve more differentiated processing and avoid unnecessary affects to other groups. In our experience, the above procedure can yield a much improved sonic quality over a simple 16:2 summing (especially of digitally summed subgroups)—and also leaves many doors open for creative audio work: Through extreme limiter adjustments you can turn an innocuous sequencer loop into a heavy duty techno beat, while more severe stereo expander settings can move an organ sound far outside the normal stereo image, and so on. A further advantage is that your DAW must only play back a few stereo files and thus is faced with less track processing. Of course, you keep your original 16 tracks for possible further work, but these are muted when listening to the results of your current MixDream summing. When you have your DAW, 16 A/D-D/A converters, MixDream and processor hardware set up you can do repeat takes with individual or multiple tracks—what is nowadays often referred to as “Bounce Back”. This procedure plays an important role if you wish first to process a track in analog (for example, drum kit compression), but later on wish to apply the results in further DAW automation. In such work you are well advised to avoid latency problems by routing the complete mix to a stereo out while simultaneously routing the signal to be processed to yet another stereo out. You then can hear everything in the correct time frame and can thereby be sure of correct processing results. For the processing of the signal itself, two possibilities suggest themselves: 1. Over the corresponding channel’s Direct Out 2. Over the Master Output. Here you must be careful to toggle your No Mix switch to avoid having the entire mix included with the recording. Inserted processors may be routed as DAW inserts via the Direct Outs. At the same time, the output signal must be time adjusted so that in the DAW it is also mixed without latency problems. In this case, be sure to toggle the Insert switch to No Mix. Each input channel is equipped with a signal-present LED and a switchable insert-loop. A three stage toggle switch per channel allows the choice of whether or not a channel should be added to the mix bus. With the No-Mix switch control, a channel may be removed from the mix while remaining available for re-recording through its Direct Output. The No-Mix function can be particularly useful, for example, when the engineer wishes to add track compression. The compressed signal can be re-recorded to the DAW for level automation. This is also known as “bounce back” capability, and without it, compressed signals could not employ level automation, since the compressor is inserted post fader. 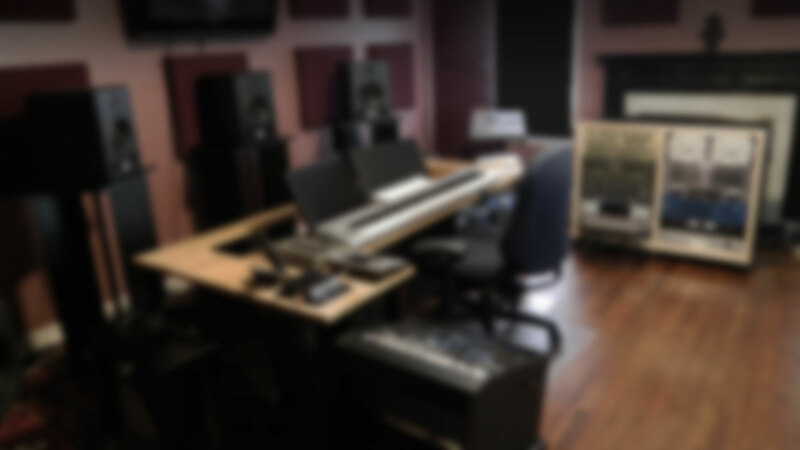 Normally a studio mastering engineer requires that a stereo file be made available for his or her work. But in such a mixdown, any problems (for example, significant variations in volume among instrumental subgroups) will mean equally significant limitations to your final mastering options. Instead, however, if one masters from a discrete mix with four or eight stereo subgroups, each of these can be adjusted just as easily and quickly in the mastering process—to the extent that even individual groups can be tweaked with different processing. Your final result is clearly better and the time needed, minimal—especially since it is less likely that a new mix will be called for. The MixDream is predestined for such applications, as we’ve planned its superior sound quality for just such occasions. Moreover, input channels can be used in mastering as input toggles to select different contributing tracks. Finally, different D/A converters may be compared so that you can be sure of selecting those most suitable for your present project. An expansion connector provides for a second MixDream input should 16 channels not suffice. This second MixDream’s master output—as well as it’s Insert Sends—may be used. In such cases, it is important that you set the Insert Level of the second MixDream to 0dB to avoid a global difference between the two. If more than three MixDreams are to be summed, we recommend to employ a further MixDream as master—otherwise the signals from the first MixDream (as the worst example) would unnecessarily be summed in each following unit. If you wish to keep the channels with mono switch, use channels 7 to 16 at the master unit for connection of slave units. The respective Insert switches must be set to the Off position. With mono signals one should use inputs 1-6, as these channels may be switched to mono mode. In the DAW such signals must be panned hard left or right if you want to confine them to a single D/A converter (thereby avoiding the waste of having to use a D/A pair for one mono track). To save converter channels, channels 1 & 2, 3 & 4 and 5 & 6 may be switched to Mono so that two signals can be converted by a paired D/A. In this case such signals are characteristically chosen which would receive a more central placement in the stereo mix (e.g. kick, snare, lead vocal, bass). All channel pairs must otherwise be panned hard left/right in the mix.